I picked the first baby leaves of mesclun sown a month ago for a green salad this week. Dog inspected for freshness of course. I usually prefer choosing a single variety of salad but this experiment has worked well and I’ll be picking the leaves for many weeks to come. 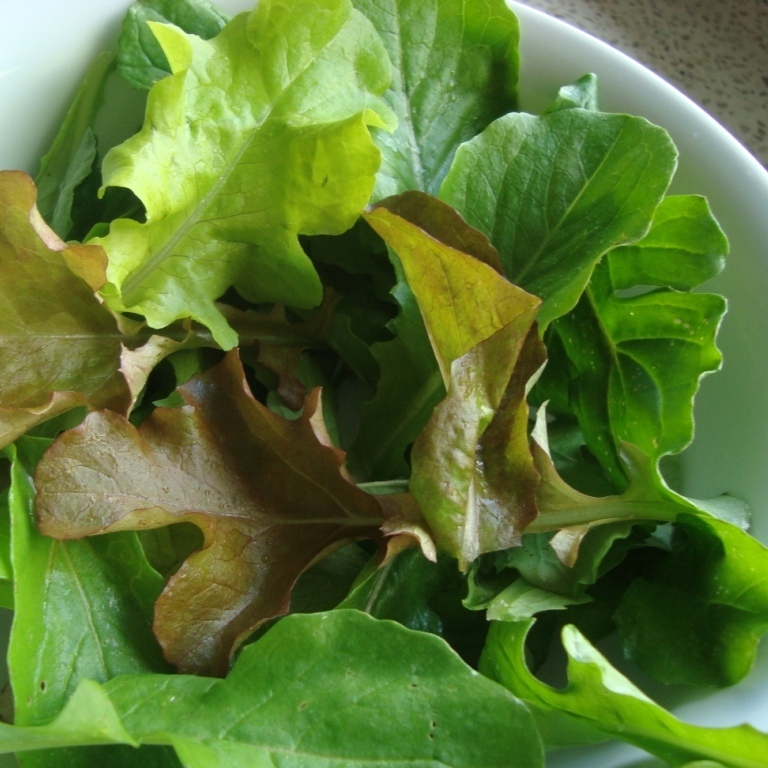 You can grow mesclun for baby leaves in a pot or polystyrene crate for a ‘back step salad‘. Or try some rocket instead. You need to hurry if you’re going to get seeds germinated swiftly for winter crops. As the nights draw in and get cooler not only do seeds germinate more slowly but you’ll get a lower percentage growing. If you’re sowing in pots you can improve things by putting them in a tunnel house, on the window sill or on top of a hot compost heap. Or go to the garden centre and get some seedlings in the ground this weekend. 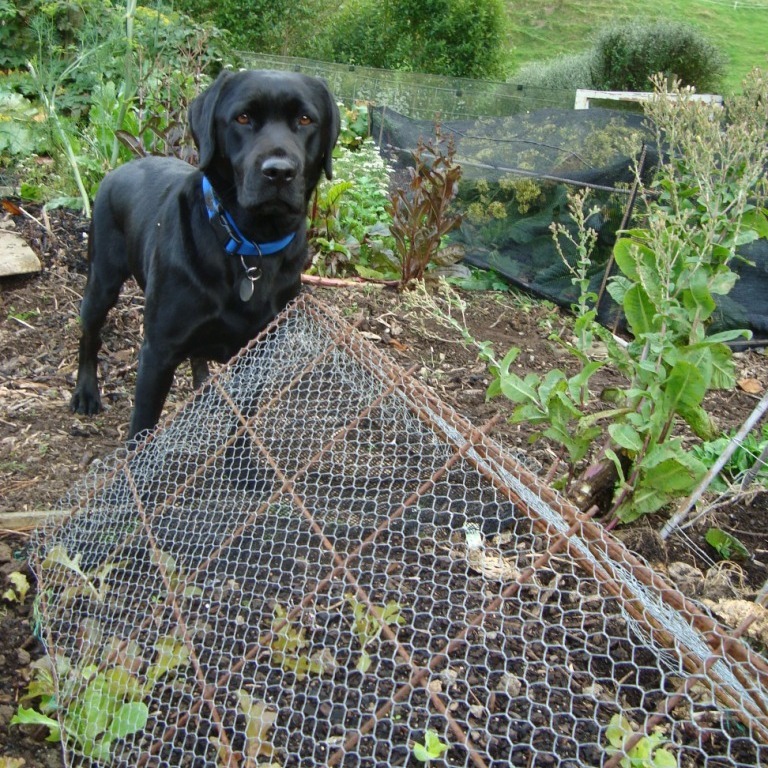 Make sure you protect your seedlings once they’re in. 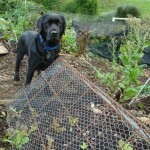 As the summer crops come out you’ll have space to spread some compost, mulch or sow a green manure. All of these will pay dividends next year in terms of crop yields and soil health. Pumpkins may be ready to pick now if their leaves have died down. Put somewhere sunny and dry to harden if you want to keep them. Only store blemish-free fruit or one rotten pumpkin really will spoil the whole barrel. You can put a tile under large pumpkins if they are on the soil to reduce the risk of them rotting. I harvested the remainder of my first block of sweetcorn to make roasted corn soup. Rabbits love the husks and leaves.